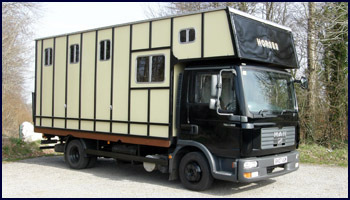 George Trevett built his first horsebox in 1976 having set up business with a small team at Winterborne Stickland as Valley Fabrications, building a wide variety of agricultural and equestrian steel fabrications. Today, we still build our horseboxes in the same workshops, in much the same way and with largely the same team, which now includes four family members. We have never looked to get too big or too flashy and have been building good quality horseboxes for over thirty-five years now. Each box is built to order, with customers able to specifiy exactly what they would like. This bespoke service, coupled with our experience and expertise, means we build the best horsebox to suit each customer's requirement. 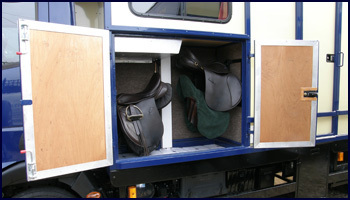 View a selection of images of our horseboxes.